SW Fashion: Do Keep Up-Do! SS12 is undoubtedly the season of the up-do, and we are certainly spoilt for choice for some easy and pretty options! 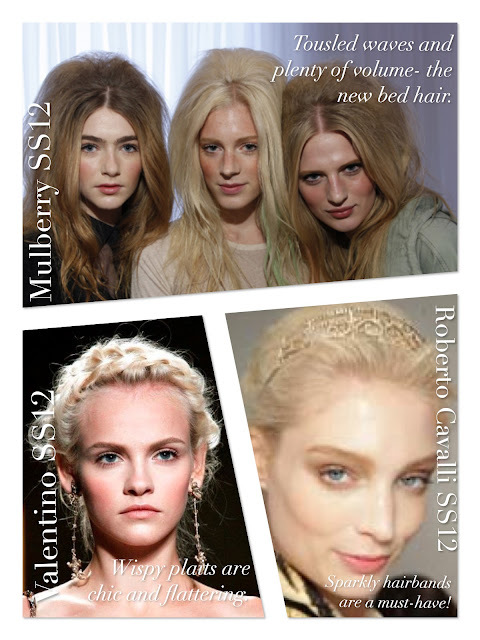 I will be sure to try them all out and let you know my favourites (the Messy Mossy is current leader!). 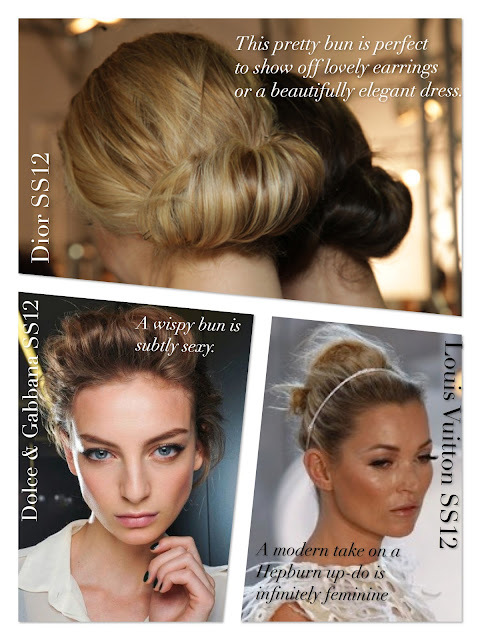 I can not wait to try this beautiful Dolce & Gabbana wispy bun! The perfect way to bring last seasons white lace bang up to date. Let me know what you think! Do you prefer hair up or down? Messy or slick?